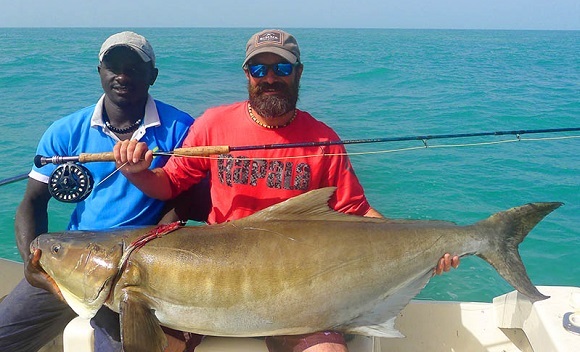 Anthony’s huge 92lb Cobia is biggest on the fly…. French angler Anthony Guenec potentially set the new men’s 10 kg (20lb) tippet class world record for cobia (Rachycentron canadum) with this massive 42-kilogram (92-pound 9-ounce) fish that he caught on March 5, 2018 while fly fishing off the Bijagos Islands in Guinea Bissau. Guenec played the hard-fighting cobia for over an hour after it took his fly. If approved, Guenec’s catch will be the heaviest cobia ever recorded by the IGFA on fly fishing tackle! The current men’s 10 kg (20 lb) tippet class world record stands at 34.01-kilogram (75-pound). 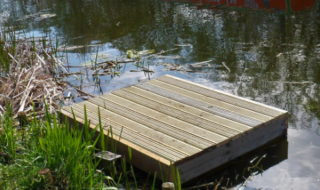 PreviousShropshire farmer £36,000 lighter after serious breach of pollution regulations….